Fundamental mode of vibration of a string. We recently covered vibrations of strings in my mechanical vibrations class. I decided to try and make a GUI to animate the vibration of the string. There are lots of options for changing the string properties and simulation parameters, as well as subjecting the string to various end conditions and combinations of initial conditions. I hope to expand this simulation to animate 2-D membranes as well. 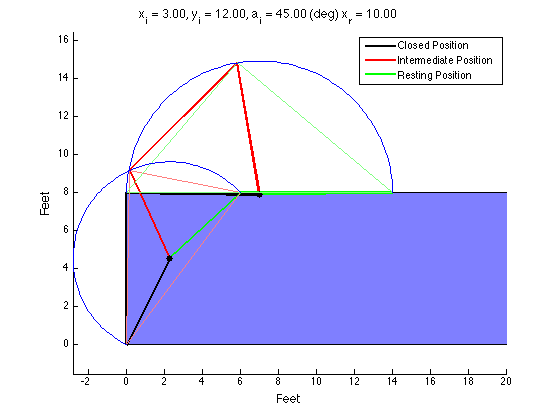 It would be very cool to simulate how a drum head or the body of a violin vibrates in MATLAB. User interface for the GUI. This plot shows where all the loft curves are located relative to each other. This allows the user to confirm that all the components are in the right place relative to each other before exporting all the curves as text files. This is the master program which all the functions described in previous posts feed into. This takes inputs from the fuselage designer, wing designer, and empennage designer and puts all the components together. The motivation for this project was to be able to quickly and easily iterate through aircraft designs. All of the performance calculations were done in an excel spreadsheet, but Excel is not good at making custom plots or managing data. 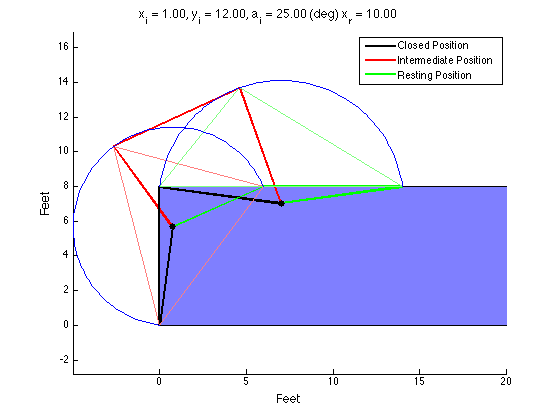 This program receives the geometric parameters of the airplane calculated by the Excel sheet, and uses them to 'build' the airplane for visualization and accurate component layout. The component layout in the spreadsheet does not account for the form of the volume components (passenger cabin, cockpit, galley, wing box, etc.). On more than one occasion we had designed a fuselage that seemed to contain all the components, only to realize that the calculated cabin length was longer than the fuselage of the aircraft! This program was intended to solve that problem by visualizing the components for instantaneous feedback on the quality of the layout. The other main goal of the program was to facilitate the rapid 3-D modeling of the aircraft. Unlike most other objects undergraduates are used to CADing, aircraft often have complex curvatures and geometries that take a long time to make manually. This program produces curves for the fuselage, main wing, and tail surfaces and positions them according to the design specifications. The coordinates for the curves are then exported as .txt files, which can be uploaded into SolidWorks as curves and lofted together. This drastically reduces the time required to produce a solid model and thus enables more rapid design iteration and evaluation. I'd like to continue adding more to this program, but it looks like there simply isn't enough room on the UI to add more input boxes. Already, many of the parameters cannot be changed from the UI; the code must be manually altered. I was thinking of adding tabbed panels to increase the number of inputs possible, but from my [limited] research they don't seem to be well supported. I think this version should do for now. A four bladed propeller with 10ft diameter and an activity factor of 140, similar to what might be seen on the LAS Anthony. A jet engine fan blade isn't that much different than a propeller blade when you get down to it... But this is just for show! As part of my ongoing aircraft design project, I wrote another MATLAB function to produce propellers whose cross sections could be exported for making models in SolidWorks. The function takes inputs from the design calculations of an Excel spreadsheet. The diameter of the rotor, the number of blades, the twist of the blade, and the airfoils comprising the blade are all used to determine the shape of the propeller. For now, only straight tapered blades defined by a root and tip airfoil can be produced. But this code serves as a first step for designing and plotting more complicated blades with curved planforms and nonlinear twists. Right now the twists are user defined, whereas in reality the twist is set to produce a certain coefficient of lift stated in the Hamilton Standard propeller efficiency chart; this is something else that must be accounted for in the future. I considered having this function calculate all performance parameters of the propeller, but the only performance estimation method that seemed feasible was the blade element method. This method is far less accurate than the Hamilton Standard propeller efficiency charts used to calculate performance in the Excel sheet. So I decided to stick with the standard method of propeller sizing using the propeller charts and just let my program calculate the propeller's shape. I added another axis to plot the side view and centerline. This is to make sure the nose and tail are offset from the centerline correctly. Can now also plot internal layout of pax seats, cockpit, lavatory, and galley. These locations will come in useful for calculating center of mass and longitudinal stability later. Area vs Length plot for Area Ruling. I havent accounted for wing/engine area yet; this is just the fuselage. 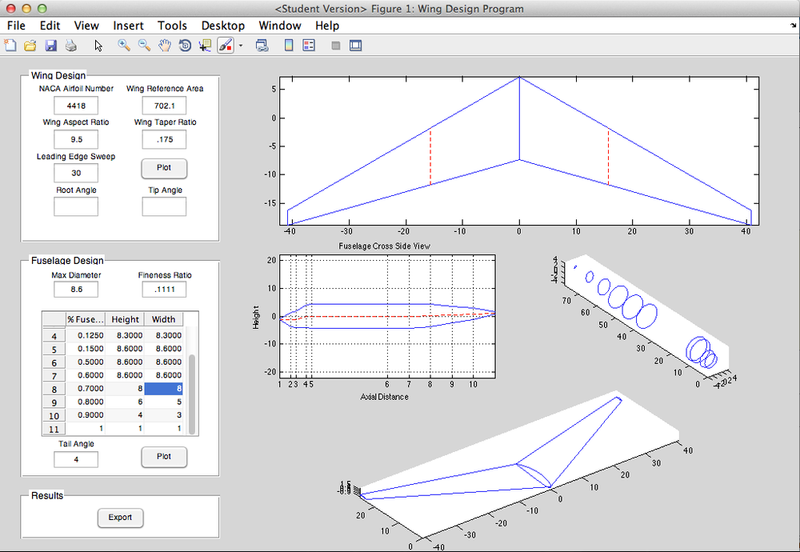 This project builds off my previous MATLAB project for designing and making wings in CAD. 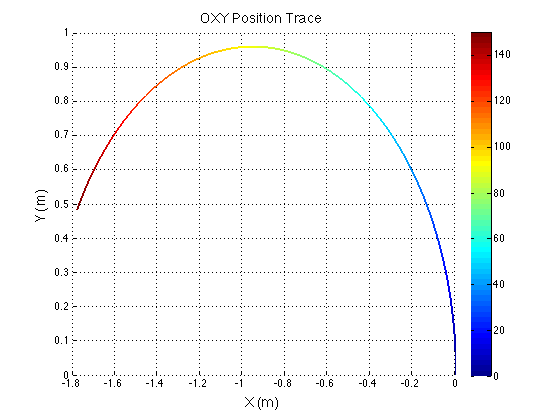 I have added basic fuselage plotting capabilities. 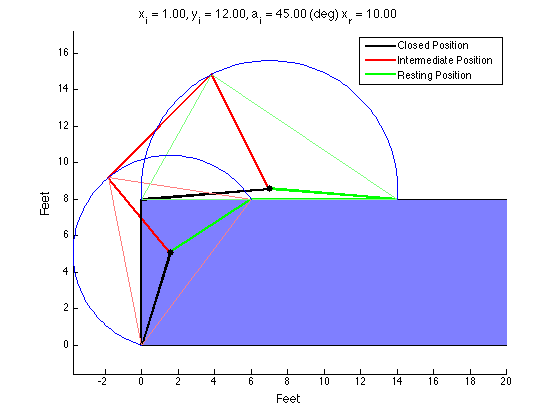 The user simply defines the maximum diameter and fineness ratios to determine the fuselage length. Then, 11 cross sections are defined by their widths and heights. The shapes of the cross sections are assumed to be ellipses. The tail angle can also be changed. Wing twist has also been added; root and chord angles can now be set. 10/14/15 - Added 3 additional plots: fuselage side view, top view, and max diameter section view. The program can now display seating arrangements, galley, and lavatory locations. This semester I am taking an aircraft design and performance class. The term project is to complete a conceptual aircraft design - each group will be designing a different type of aircraft. Our group is designing an MSA, or Maritime Surveillance Aircraft. The purpose of this aircraft is to loiter for long periods of time at low altitudes to observe/monitor maritime vessels, act as an airborne control center for nearby aircraft, and even deliver payloads (sonobuoys) and ordnance (torpedoes, air-surface missiles). Our professor provided us with Excel spreadsheets that have many of the calculations programmed into them; our goal is to optimize the parameters to meet the requirements. We also need to produce a 3-D model of our design. This is where the Excel sheets lack in ability. They provide very rudimentary 3-views of the aircraft. 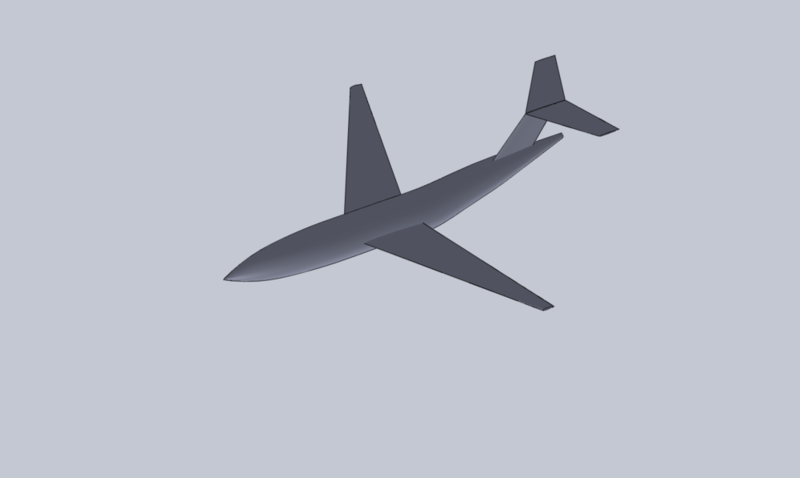 I decided to use MATLAB to take the results from the Excel spreadsheet and produce coordinates for a wireframe model of the airplane, which could be loaded into CAD software and turned into a 3-D model. 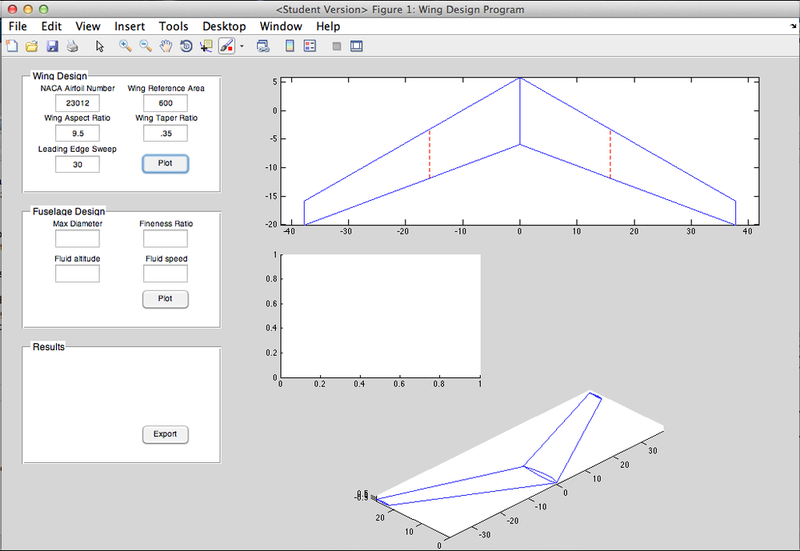 Currently, my MATLAB program can only produce the wireframe of a wing (or any similar aerodynamic surface). I am actively working on expanding it to create fuselage cross sections which will be used to create a 3-D model. 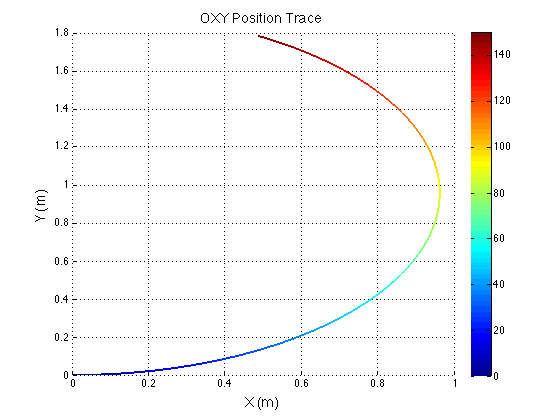 I adapted this program for one I previously made for an aerodynamics class. The inputs were reversed - for that class, the area needed to be calculated for a given wingspan, whereas in the design scenario the wingspan is determined by the area and the aspect ratio, so the inputs needed to be changed. I also added the capability to sweep the wing. I also added the a section on the planform view to show the MAC - this is an important thing to visualize. The 'Export' button creates .txt files with the tip and root airfoil coordinates. These can be loaded into SolidWorks or any other CAD program as a curve, and the tip and root curves can be lofted together into a solid wing. Then the wing is simply mirrored about the root to create the other half and complete the wing. 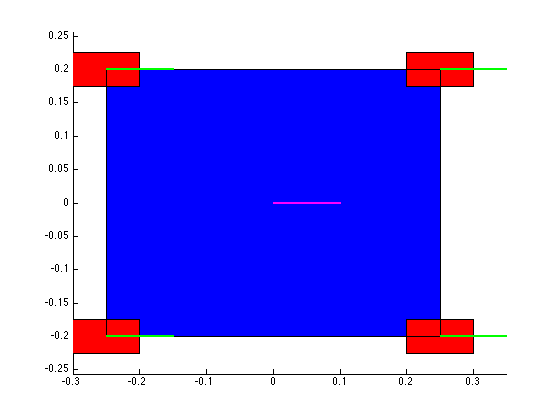 Plot any 4-digit or 5-digit airfoil (uses my airfoil generator function). 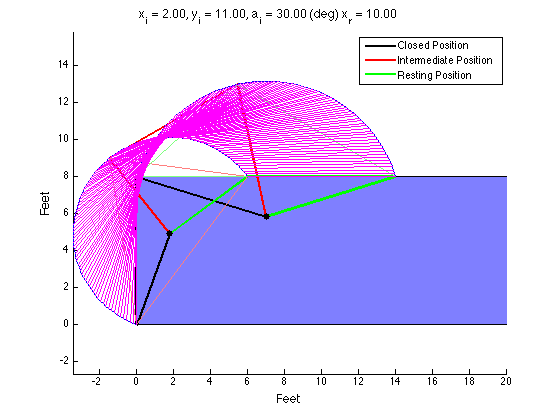 Create basic trapezoidal aerodynamic surfaces with airfoil cross sections. Wing twist or washout, and angle of incidence (not visible in GUI yet). Parameters include NACA airfoil, wing reference area, aspect ratio, taper ratio, and LE sweep. Plots MAC and spanwise location of MAC. 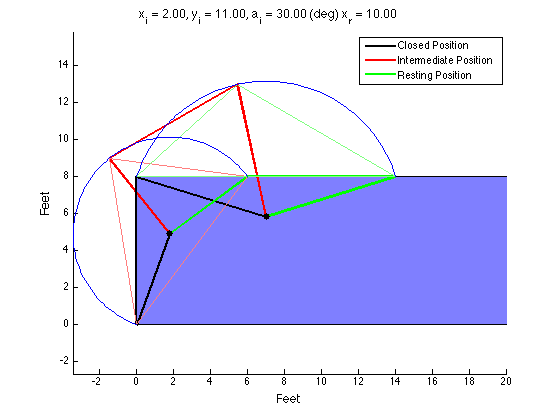 Export coordinates of root and tip airfoils to create a 3-D model in CAD software. The current method in which the wing is swept is inaccurate, as it 'drags' the tip rearwards (or forwards) to achieve the required leading edge sweep. However the wing should really be rotated such that the airfoils are no longer parallel to the airstream; this is what makes a swept wing effective. Rotating is difficult though, because then you have to account for the fact that tip and the root will be at the incorrect angle, and you have to adjust for that. This is okay to make a model for viewing/aesthetics, but I should look into updating this in the future. I should also plot points on the quarter chord MAC as this is another important location. I will continue working on this GUI to add fuselage plotting capability. Also the wing washout/twist/angle of incidence parameters can only be accessed from within the code; I need to make boxes on the interface to change these parameters. If you've ever seen a flock of starlings flying in seemingly effortless coordination, or a school of fish avoiding some hungry sharks, you know what swarm intelligence is. The mesmerizing patterns make it appear like the flock or school is one (or several) cohesive unit(s) being guided - but it's not. The amazing thing about swarms like these is that there is no 'leader'. These patterns arise naturally as a result of a few simple rules that each swarm member follows. For example, each member in the school of fish wants to get into the center of all the other fish, to avoid the predators. In the flock of starlings, each bird has this centering tendency, but also must maintain some separation from other birds to avoid crashing. The swarm members also tend to travel in the same direction/speed as the other swarm members. For example, if they see one member turn, they'll turn too. These are the fundamental rules that govern flocking/schooling behavior in animals. Using MATLAB, I made a simulation of this flocking behavior based on Craig Reynolds' original program, using the three aforementioned rules. In the code, each rule has a weighting term which indicates how important the rule is to the boids. By changing the weights, different types of swarms can be modeled. Fish, for example, tend to stay much closer together than birds. So the weighting factor for the cohesion rule would be greater. Insects, on the other hand, don't always tend towards a center or even in the same direction, so those weighting factors would be very low for insects . This yields much more random motion, as one might expect. Many other modifications can be made to this simple code. For example, in this version, each boid sees every other boid. But in reality, birds and fish obstruct each other, and so the perceived size of the swarm by each member would be different depending on the location. By defining a radius around each boid that constitutes the visual range of the boid, one can more accurately model the swarming behavior. Additionally, this reduces the number of calculations drastically, and thus increases the speed and number of boids the simulation can handle. 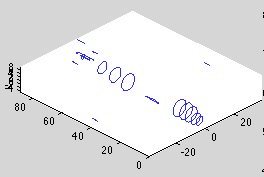 For example, my simulation can only handle about 50 to 100 boids before MATLAB runs very slowly. Check out the video below to see what my boids look like! For more information about the actual boids programming, click here. Update 4/22/15: Added mouse tracking capabilities. Boids now follow the mouse pointer! Apologies for the choppy video; it looks like this took up a good chunk of my memory. 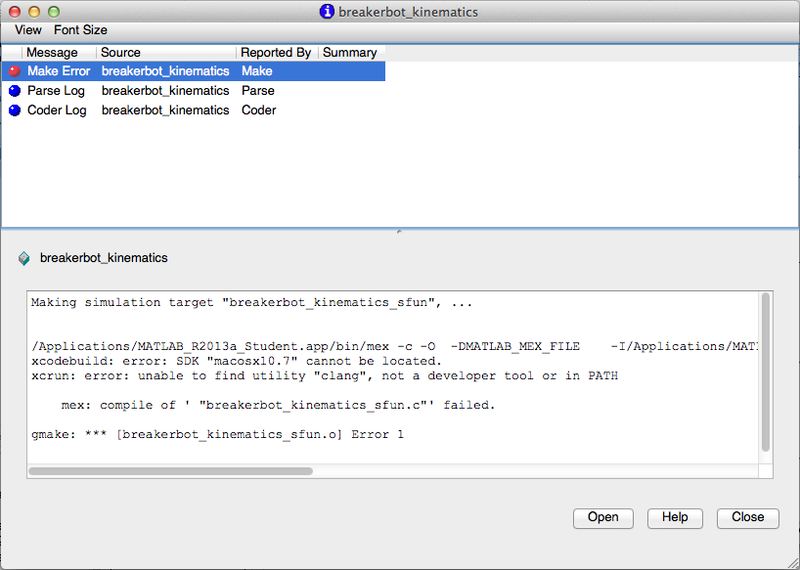 This is an analysis of some actual data from the accelerometer. 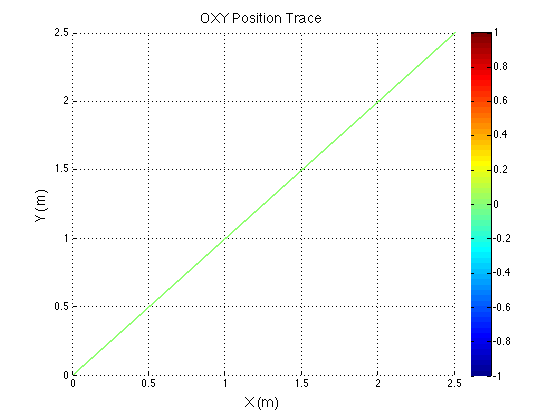 The filter's effectiveness can be seen in the magnitude spectrum plot in the reduction of both noise and offset. This is the same data, but with #nofilter. I'm currently designing a hardware filter to replace the MATLAB filter so I thought a toggle button would be useful. As you can see, without filtering out the noise and the offset, the data make no sense. For my Instrumentation class, we were tasked with determining the position of a mass on a mechanical oscillator using a transducer. We chose the accelerometer, which is the most difficult transducer to use compared to the others because it has a 2nd order response. Thus, a lot of signal conditioning steps need to be applied to the output of the transducer to find the actual displacement. Originally, each signal conditioning step was its own MATLAB script. But because the scripts all had different authors, it was difficult for any one of us to go from start to finish with a set of raw data. My solution to this problem was to create a user interface that would allow us to quickly and easily analyze sets of data. The data acquisition would remain its own script and the raw data was saved as a MATLAB data file. The filename is then entered into the GUI and the data is loaded. The static sensitivity of the accelerometer (obtained via calibration) can be entered into the box, but the value from our calibration is already set as the default. 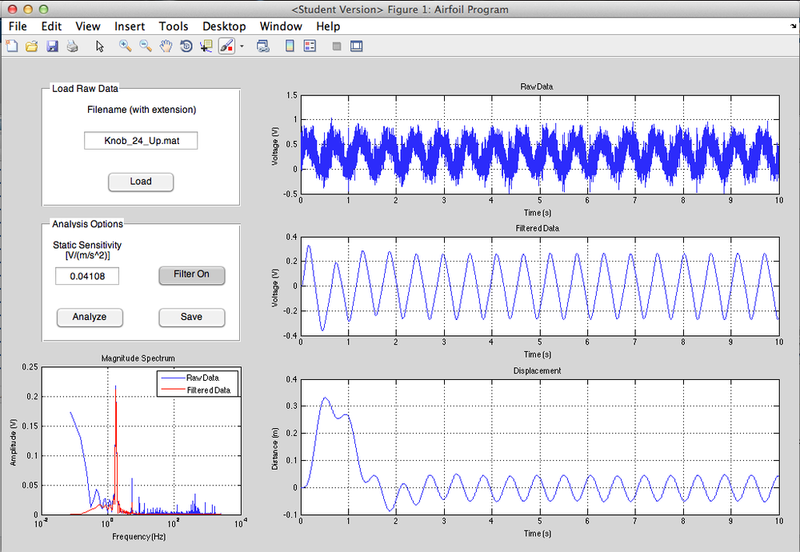 The 'Analyze' button does several calculations and makes a few different plots. The first plot made is just the raw data. The second plot is the magnitude spectrum of the data, so the frequency of our signal and of any noise can be identified. Then the data goes through a bandpass filter to remove the high frequency noise and the DC offset. This filtered voltage as well as its FFT are then plotted. Finally, the signal goes through a double numerical integration to convert the acceleration values into displacement. Because of the cumulative integration technique used, a high pass filter is needed in between integration steps to remove the offset. Overall I'm quite pleased with how it turned out. I may add more functionality to achieve more of the project's deliverables, but for now this will do. One of my responsibilities as a teaching assistant at BU Academy was to cover any classes the teacher (Mr. Gary Garber) could not make. This week he is traveling with the BU Academy FIRST Robotics team to the FIRST competitions and I'm covering some of his classes. 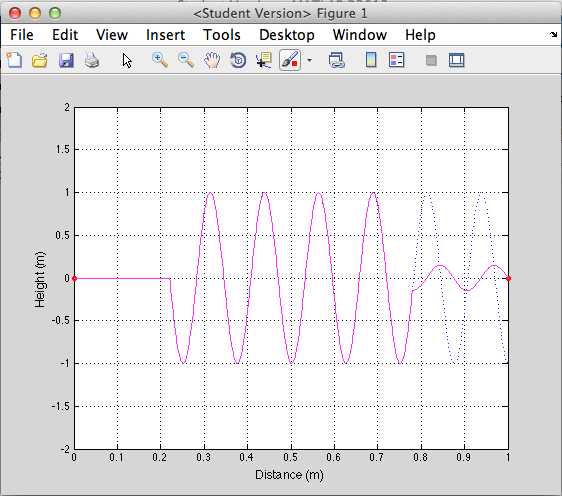 Right now, the class is just starting standing waves. It can be tricky to visualize how the waves actually reflect and interfere with each other. If you're using a spring or a rope to demonstrate this effect, damping is often an issue and other parameters can be difficult to control. If you're using a simulation, the waves usually travel too quickly and it can be difficult to see what's going on. I decided to write a quick MATLAB script to help my students visualize how standing waves form. The script basically plots several cycles of a sine wave as it travels down a 'string'. Both the input and the string's response (what we actually see the string doing) are plotted on top of each other so that they can be compared. I took some screencasts and some screenshots to better illustrate the process. It's important to note that this simulation doesn't model resonance or harmonics; it simply reflects the incoming waveform off the wall and adds it to the rest of the wave form. This video shows the typical standing wave we are used to seeing. The nodal points can clearly be seen. I took a few other videos showing different inputs, but they don't all fit here. Those videos have been left as an exercise for the reader. Download the MATLAB file here. I'm taking a class in aerodynamics this semester, and I know we will be working a lot with airfoils. 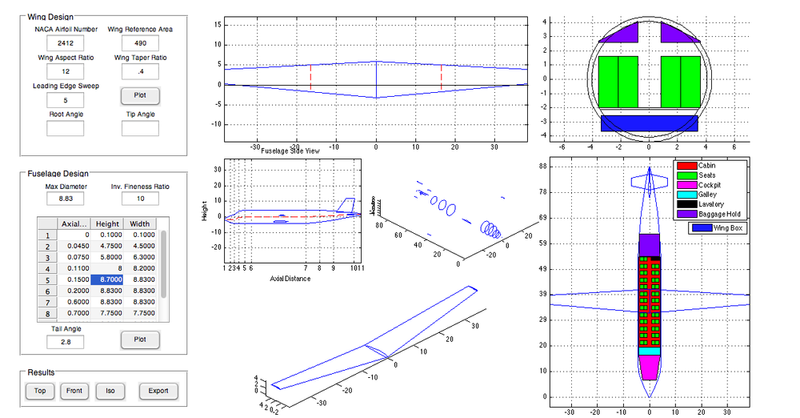 So for fun I decided to write a MATLAB GUI to display any NACA series airfoil. Currently it only works with the 4-series airfoils, but soon I will expand it to work with 5, 6, 7, 8 series airfoils as well. 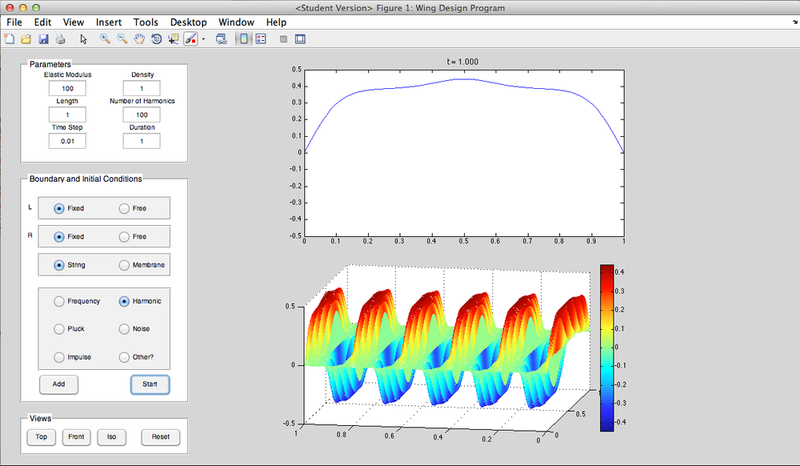 The program takes inputs of the NACA airfoil number, desired chord length, angle of incidence (AOI), and the wing length. 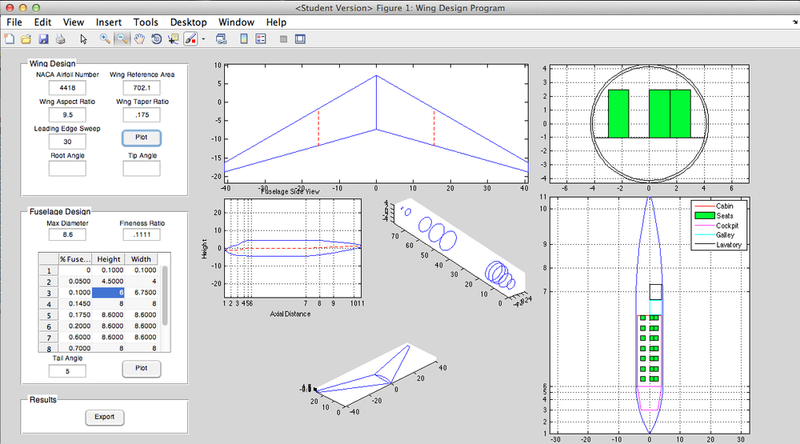 The program then plots each individual airfoil, and lofts the two together in an isometric view. The 'export airfoils' button doesn't work right now, but soon it will export XY coordinates for the airfoils to a text file, so they can be loaded into SolidWorks or another CAD program to make a 3-D model of the wing. Download the files to run the program here.